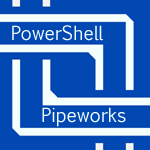 PowerShell Pipeworks is a framework for writing Sites and Software Services in Windows PowerShell modules. Pipeworks provides powerful tools to write websites in PowerShell. It helps you pipe together tons of tech to write smarter software as a service. The easiest way to explore pipeworks to to visit the web site http://powershellpipeworks.com/, or to build yourself a local copy. Once you've done this, just open up PowerShell and run these three lines to create your local Pipeworks site and run it.